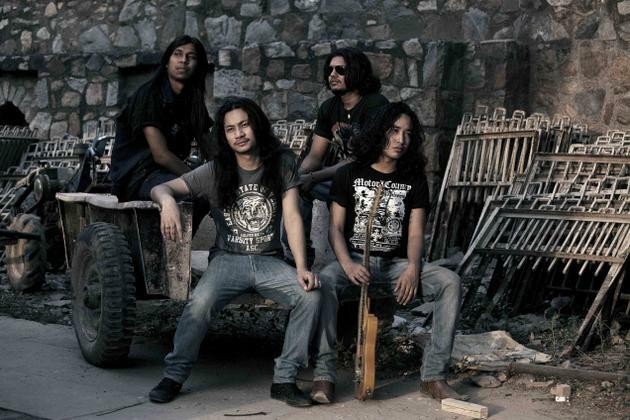 Nicky Jatin Sharma talks to the vocalist/guitarist of Delhi-based band Rampazze, which believes in keeping the rock ‘n’ roll roots alive. How did Rampazze come together? We came from North-East India for pursuing our graduation in Delhi and that’s where we met. Our common interest towards similar kind of music brought us together and we started jamming during the weekends. After a few jam sessions we were ready to perform at gigs and that is how Rampazze started. We play rock ‘n’ roll; hard rock with a bit of modern touch. Influences range from The Beatles to Foo Fighters. The music industry is variant and colourful and there’s a lot to learn from almost everybody out there. Individually, we all listen to many different music and are influenced by various artists. As a band we love AC/DC, Led Zeppelin and many classic rock and rock ‘n’ roll bands. Everything started from rock ‘n’ roll; that is the root of hard rock and heavy metal. Most recently, our debut music video Inspiration was aired on MTV Roots and was declared Winner of the Best Music Video at the 5th International Documentary & Short Film Festival. Besides, we'd won most of the competitions we participated in colleges and all of us have won individual awards like best guitarist, vocalist and drummer in many competitions. We opened for Finnish rockers Poets of the Fall in IIT Kanpur in 2008. We have also headlined many college festivals and other shows across the country. We can probably call ourselves lucky to have had some top flight gigs and headlining tours under our belt. We have toured almost the entire country over the last six years, and played in all the major cities. Our strongholds are in the Northeast and Delhi/NCR, but we have also performed in Chennai four times (World Music Day 2008,Unseen Underground Pub Fest in Star Rock, June Rock out and Unseen Underground Ragnarok’08) and we have a great fan base in this city. People here respect rock ‘n’ roll music even though there are many heavy metal bands and they are very friendly people. Is there something about your band that you would like people to know? Maybe the fact that none of us is a trained musician. We are all absolutely self-taught musicians who have never gone for any formal music classes. But I do not think it’s that important. What’s important is that we have released two music videos — Inspiration and the crowd favourite Cheap Liquor... Wicked Hangover. Watch, enjoy and share.